Cologne - After an inauspicious start to his Bundesliga career with 1. FC Köln, Simon Zoller is at last delivering on his potential. bundesliga.com: Simon Zoller, that's three goals in three competitive games for Köln this season. How does it feel? Simon Zoller: It's a nice feeling. At the end of the day, we're a bit disappointed only to have taken a point off [last season's] runners-up. On the balance of play, we deserved more. When we didn't score the second goal, we knew that Wolfsburg had the quality to make the most of their few chances. We fought hard, switched off just once and lost two points. bundesliga.com: Shortly before half time you had a great chance to make it 2-0. What went wrong compared with your goal? bundesliga.com: How's the link-up play going with Anthony Modeste? Zoller: It's going well. He set me up for the goal. We have a good understanding. It works well whoever plays. We're looking forward to the next game. bundesliga.com: You've made a much better start to the season with Köln this time. Have you done anything differently? Zoller: Last year was my first in the Bundesliga. I've learned from the experience. It wasn't all good, but it wasn't all bad either. I've made a few adjustments. That's done me good. I'm feeling great; it was fantastic to get a reception like that from the fans in the first home game [of the season]. That wasn't a guarantee after last year. bundesliga.com: Could you say this is your second coming at Köln? Zoller: You could say that, but I never really went away. I kept my flat here. I knew I'd be back and I also really wanted to come back. bundesliga.com: How's it been for you at Köln after half a year at Kaiserslautern? Did you expect to be given a fair chance? 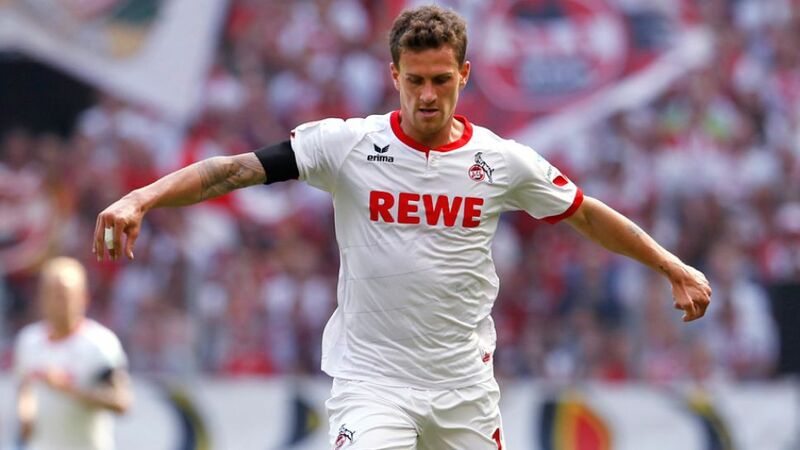 bundesliga.com: A few pundits are tipping Köln to be this season's surprise package. Do the team dare to believe it? Zoller: If we put everything into the pot and fight like we did today, we'll pick up points at home and away. I wouldn't call us the surprise package. We're keeping our feet on the ground. It'd be silly if we start chasing other goals in our second season in the Bundesliga compared with last year.